I’ve been totally speechless since I came across this on google. 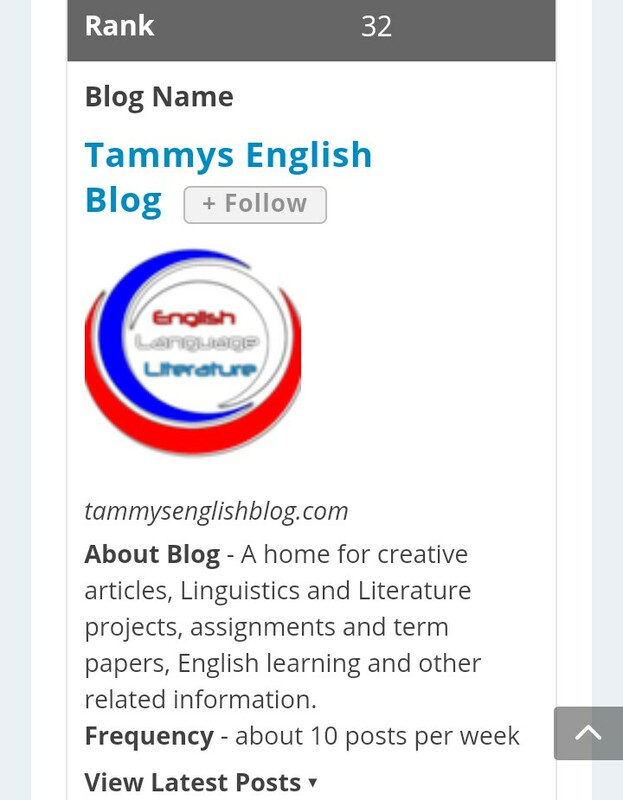 Few days ago, I decided to check for top English blogs on google to see if I could gain from their posts, and in course of that search, I stumbled upon Feedspot's list of top 50 English language blogs in the world, with “ABA Journal” and “Grammarly” blogs occupying the front seats. I was really intrigued by what I saw and wished my blog was on the list. Consequently, I submitted my blog's URL for review so I could be on the list. Unless your blog has very good content, it won't be added to the list, regardless of its Alexa rank. So, I was really skeptical about the outcome of everything, coupled with the fact that I'm not a native speaker. To cut the long story short, today, I received an email from Feedspot that my blog has been listed among the top 50 English Language blogs. I didn't believe the mail until I confirmed it. Seeing my blog (which is just a year old) occupying the 32nd position on the list among blogs like ABA Journal, Grammarly and others, gives me endless joy. I want to say a big thank you to God almighty and to you, my wonderful reader, who have made it possible for me to achieve this feat. You can view the list HERE. 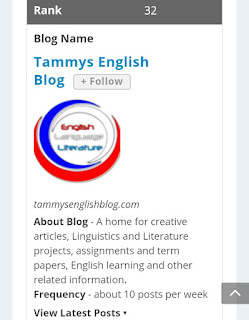 Tammy's English blog ranks 32 out of 50! Thanks, I've learnt a lot from you.